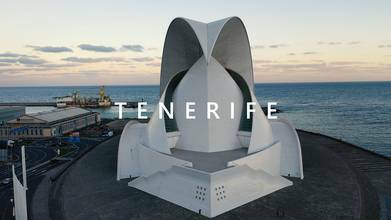 The largest of Spain’s Canary Islands off the coast of West Africa, Tenerife is a popular tourist destination. The island is well known for the Carnaval de Santa Cruz, the pre-Lent festival full of parades, dancing, music and costumes. Drone pilots PROEPICS traveled there over winter break to explore the island and climb its highest peak, the dormant volcano Mt. Teide.